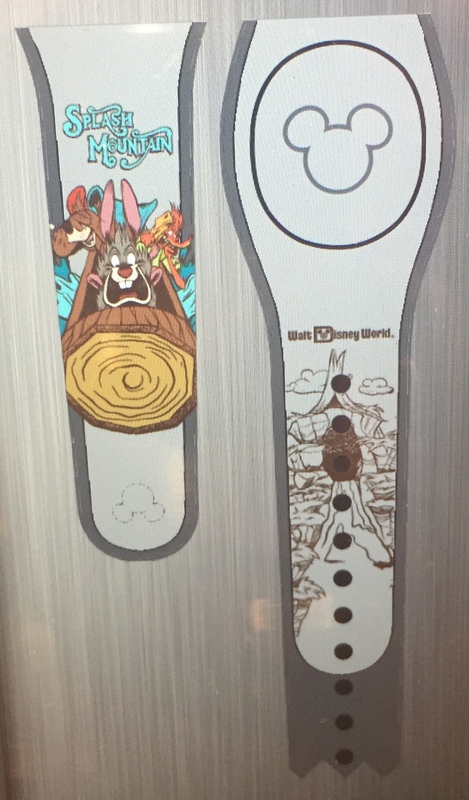 2 Responses to "A new Splash Mountain MagicBand On Demand design is now available"
Unrelated to this post, but has anyone noticed an extreme lull in Limited Edition Magic Band releases? It seemed like we were getting one per month for quite some time, and now it’s been roughly 2 months since the Incredibles II LE band. I wonder if Disney is slowly winding down production of LE bands in anticipation of smartphone integration? I do know that there are some DVC bands coming up (which I’ll post about shortly), but yes you are correct it has been a VERY slow summer. Summers for MagicBand news has always been this way though. Movie release bands have historically be terrible sellers, which is why we may have not gotten a Christopher Robin or Ant Man & the Wasp LE band. You can still find Incredibles II, Enfy’s Nest (from Solo), and more on the shelves. I’m hoping for a Food & Wine band, but I’m not sure if that is happening this year either. I would start to be concerned if Mickey’s Not So Scary Halloween Party doesn’t have a MagicBand. That is a big red flag for me. We’ll find out this month.